I can’t imagine anyone reading this who has any interest in it hasn’t heard by now, but Rich Burlew’s OOTS Pledgeathon for new books is coming to an eventual conclusion in about 9 hours (5pm GMT), having beaten his original $60,000 target just a smidge, the totalometer reading $1,172,452 as I type. One for the Kickstarter record books, second most funded project of all time (until Doublefine’s multi-million dollar drive ends next month, at least). It’s really interesting to see this whole new method of funding take flight. It’s not for everyone. Rich has got ten years goodwill behind him, Doublefine – via Tim Schafer – has twice that, and for every successful project to make a revolutionary new form of coathook, there’s a dozen scientific magazines, animated films or arthouse flicks that have fallen more than 90% short of their funding goal, so while it’s a good way to *get* the money people want to give you to make your thing happen, you need that audience to exist *first* to a large extent. (The Elevation Dock people got around that, but they were heavily featured on tech blogs too, so you either need an audience or PR). 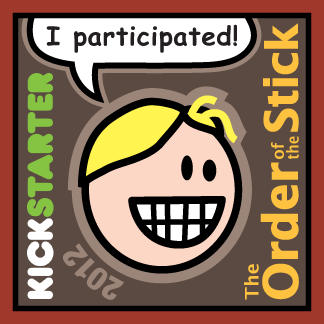 Also, it’s interesting that the most popular Kickstarter drives haven’t been for support, or for the money to make something you’ll pay for, but to a large extent a massive pre-ordering of something, in a way that can be used to make the eventual item better (rather than the current system, where pre-ordering a book, game, DVD or whatever is merely gaining interest for the retailer until the release date.